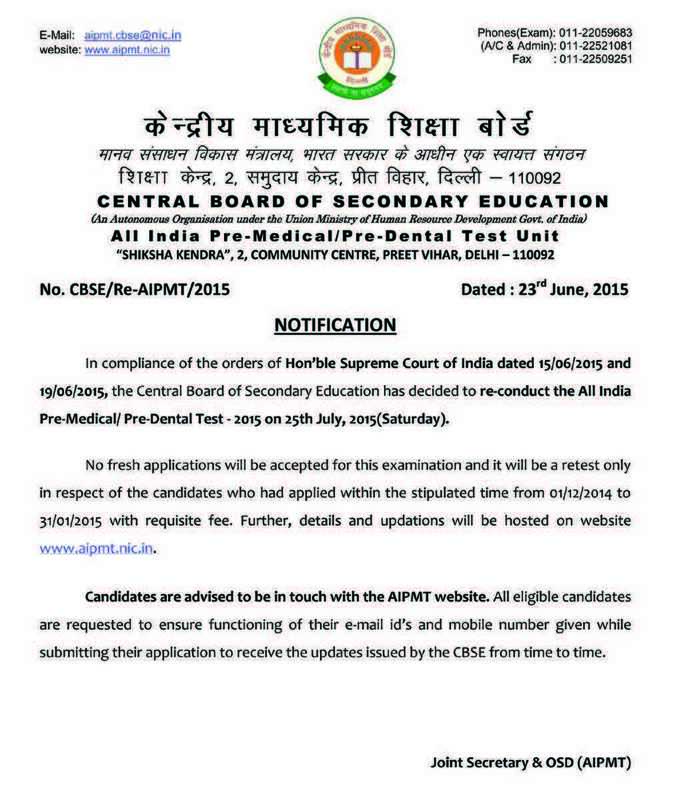 Central Board of Secondary Education, Delhi Published Notification For AIPMT 2015 Re-Test Date. 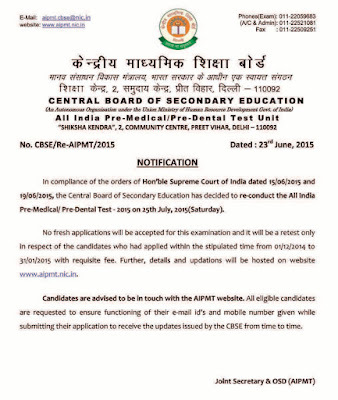 Central Board of Secondary Education, Delhi has decided to re-conduct the All India Pre-Medical / Pre-Dental Test-2015 on 25th July 2015 (Saturday). As per Central Board of Secondary Education (CBSE) Notification, No fresh applications will be accepted for this examination and it will be a retest only in respect of the candidates who had applied within the stipulated time from 1st December 2014 to 31st January 2015 with requisite fee. Further, details and updations will be hosted on website www.aipmt.nic.in. Candidates are advised to be in touch with the AIPMT website. All eligible candidates are requested to ensure functioning of their E-mail id's and Mobile number given while submitting their application to receive the updates issued by the CBSE from time to time.